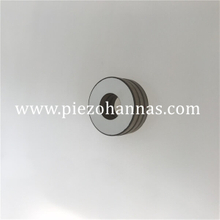 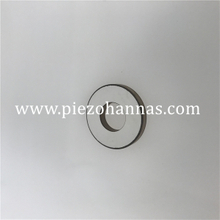 Piezo ring crystal is one kind of piezoelectric elements, it is a functional piezo chip which is fabricated by advanced technology and has wide usages, such as ultrasonic cleaning machine, ultrasonic welding machine and so on. 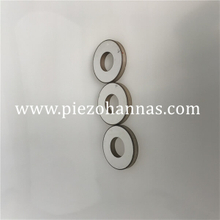 The piezoelectric rings we provide have the characteristics of high temperature stability, high mechanical quality factors and larger power density. 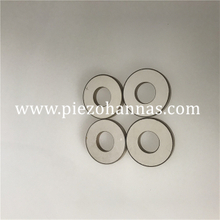 Superior performance piezo rings can be used in harsh environments and perform well. 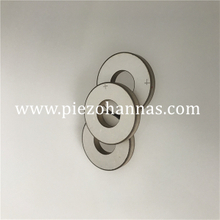 The piezoelectric rings also have wide range of sizes, it's OD ranges from 2 to 90mm. 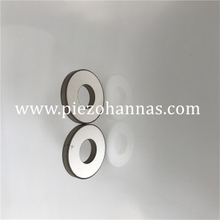 ID is 1 to 80mm, height is 0.1 to 40mm. 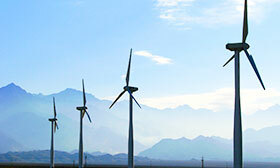 Most of the application requirements can be satisfied. 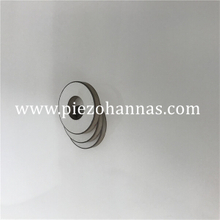 If your needs are not within this range, we can customize pzt rings for you as your requirements. 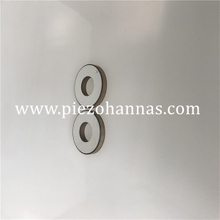 In the course of your use, you can contact us directly when you have any problems about piezo rings. 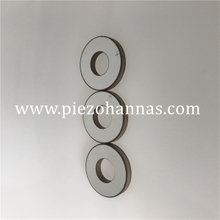 We will bring you the best after-sales service.